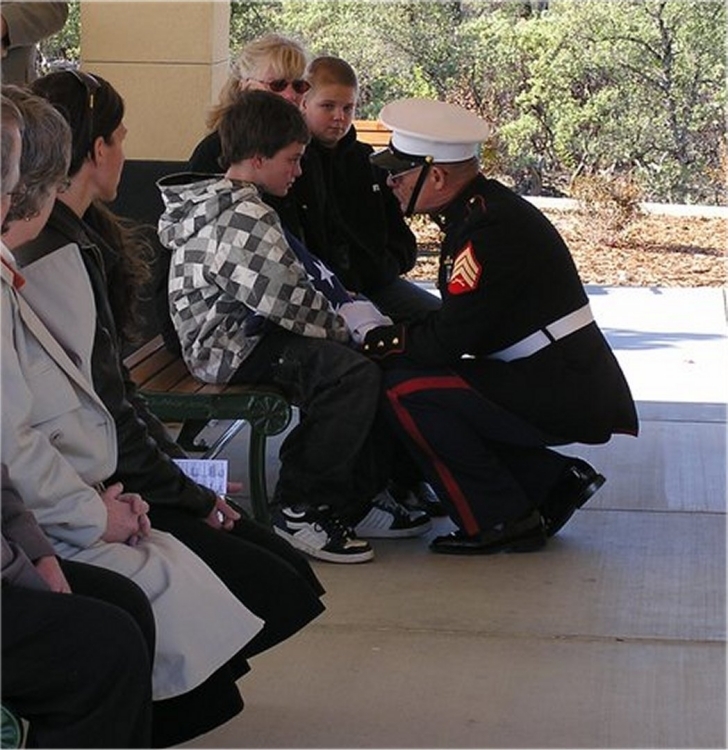 Semper Fi II - Memorial Honor Detail, was formed to help assist with honors at our Northern California Veterans State Cemetery in Igo, CA. 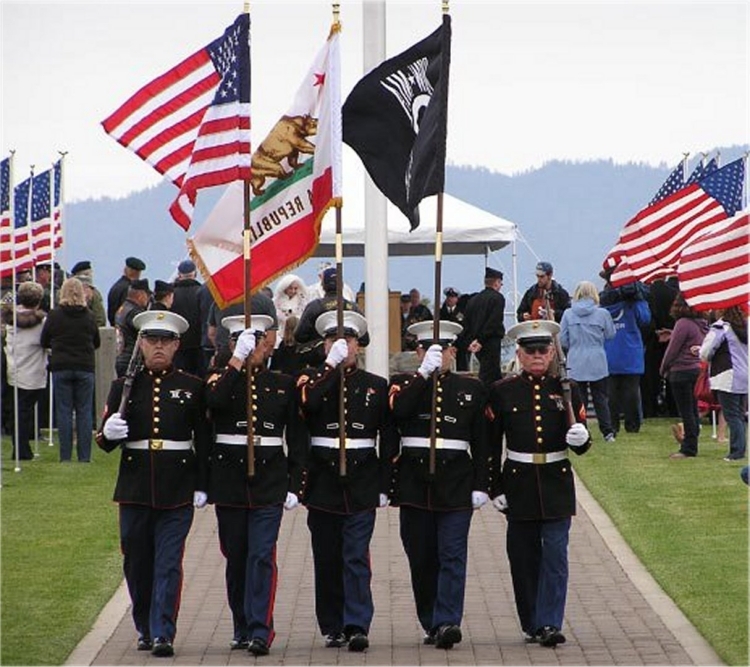 We are an all Marine-Volunteer Honor Guard and work closely with the National Guard Unit at The Northern California Veterans Cemetery in Igo, CA. We also do honors at Lawncrest Chapel in Redding, CA and Redding Memorial Chapel AKA McDonald's Chapel in Redding, CA upon request. We do honors for all branches of service in the Redding Area. The specific purpose of this corporation is to provide, free of charge, Full Military Honors Memorial Services for Veterans of all branches of military service who are interred at the Igo State Cemetery, Memorial Services at other locations as determined by the Board of Directors, and to promote the formation of similar Memorial Honor Details at other National & State Cemeteries in the United States. “Taps” is an American Bugle call, composed by the Union Army’s Brigadier General Daniel Butterfield while in camp at Harrison’s Landing Virginia, in 1862. Butterfield wrote the call to replace the earlier “Tattoo” (lights out), which he thought too formal. The call soon became known as “Taps” because it was often tapped out on a drum in the absence of a bugler. Within the year both the North and South Army’s were playing “Taps” at the burial of their solders. “Taps” was officially adopted by the U.S. Army in 1874. “Taps” is now played by the military at burial and memorial services of active duty personnel and veterans that served their country honorably and to signal “lights out” at day’s end. From the skies. All is well, safely rest, God is nigh. The Flag will be folded into a triangular shape with only the blue field with stars showing. The shape of the flag when completely folded takes on the appearance of a Cocked Hat, reminding us of the hats worn by the soldiers, sailors and marines that served under General George Washington and Captain John Paul Jones during the Revolutionary War. These men fought to preserve for us the Rights, Privileges and Freedoms that we all enjoy today. This triangular shape has always been the traditional way that Burial Flags for United States of America Military personnel have been folded. The United States Flag drapes the casket of deceased veterans to honor their service to America. The flag is placed so that the blue field with stars is at the head over the left shoulder of the deceased. When there is no casket, then the flag may be draped over a table or held by one of the Honor Guard members. After the rifle salute (Optional) and the playing of Taps, the flag is carefully folded into the symbolic tri-cornered shape. When folded no red or white stripes are to be evident, leaving only the blue field with stars. The flag is then presented to the next of kin, or other appropriate family member as a keepsake. After the burial flag has been used for a veterans funeral or memorial it should never be flown again or displayed in any way other than in the tri-fold shape in which it was presented to the family of the veteran. The burial flag should never be opened again. Semper Fi Two is an all Marine Honor Guard. This web-site has no way of knowing who visits. This site only counts by one (1) whenever someone views this website. We value your privacy and do not keep any record(s) of who visits this web site. The website designer / creator will not permit this at any time.